world-wise with a homegrown vibe, story laurie is "the very embodiment of a modern-day troubadour." she weaves wondrous tales, sings witty songs with a voice that Enchants, and is an educator par excellence. Current events, featured SOngS & More! 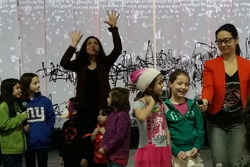 At left, Story Laurie and Toni Wang of "A Little Mandarin" performing together in NYC at the Javits Center in honor of the Lunar New Year. I'm excited to share this wonderful new music-based resource, FREE to educators in the NYC Watershed region. Check it out at www.harvestofsongs.com. Explore performance opportunities with Story Laurie for your school, library, festival or community event! 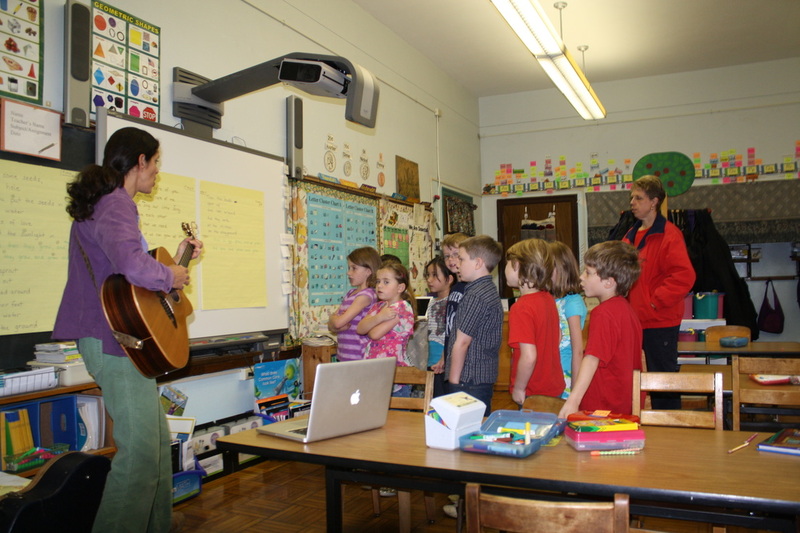 Interactive songwriting workshops offer unparalleled opportunities to engage students in educational topics through music! Watch videos and listen to MP3s of performances, workshops & residencies! Check out the Groovin' in the Garden CD and download five FREE tracks!